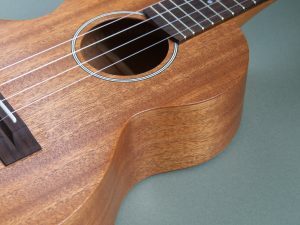 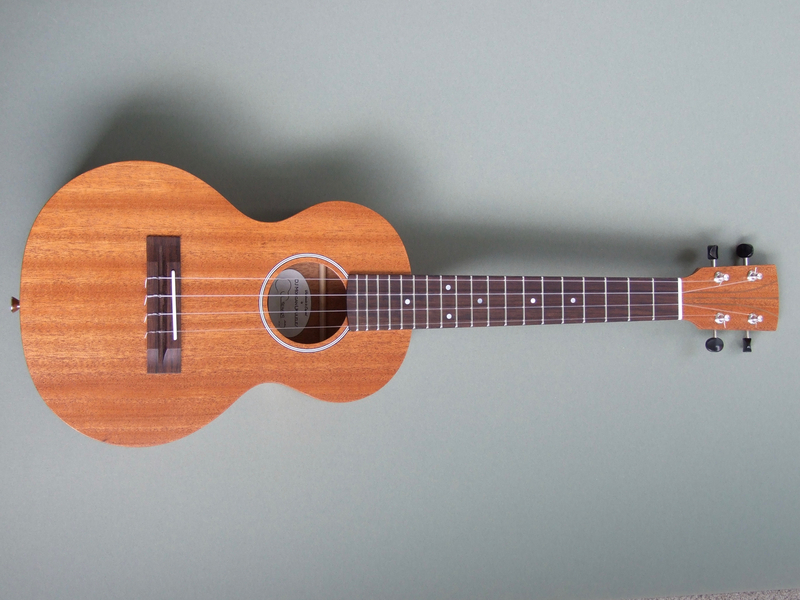 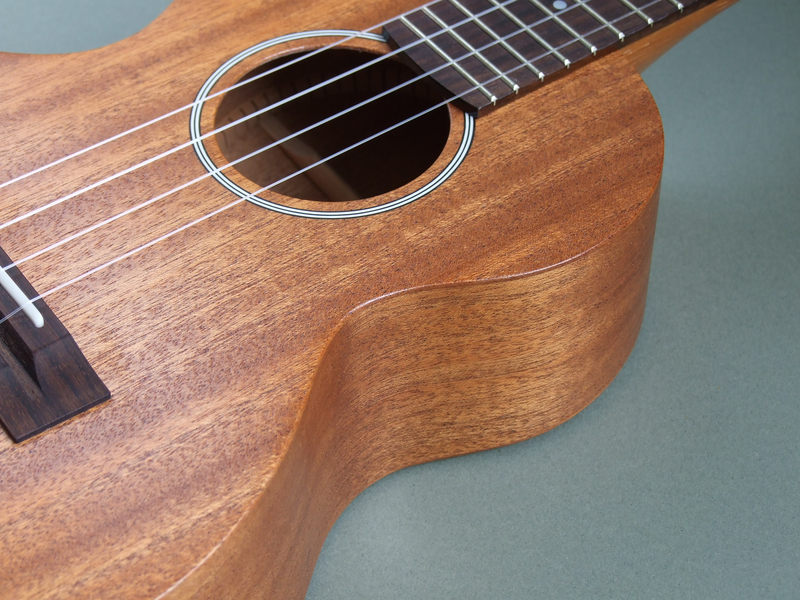 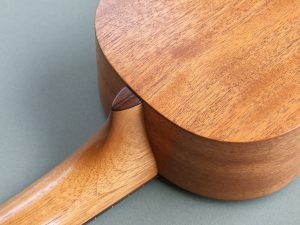 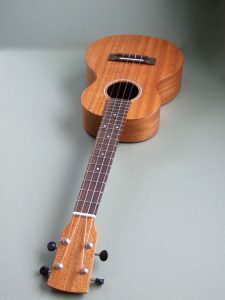 Body: African Mahogany (Khaya), with a five ring sound hole rosette. Neck: Spanish Cedar with carbon fibre rod. 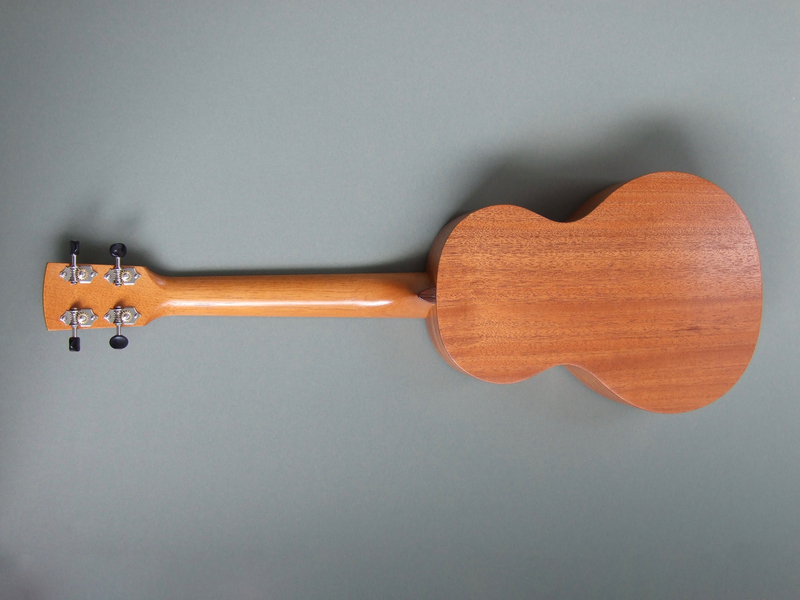 Fretboard: Indian Rosewood with white abalone fret inlays, abalone side dots and a corian nut. Tuners: Der Jung geared tuners. 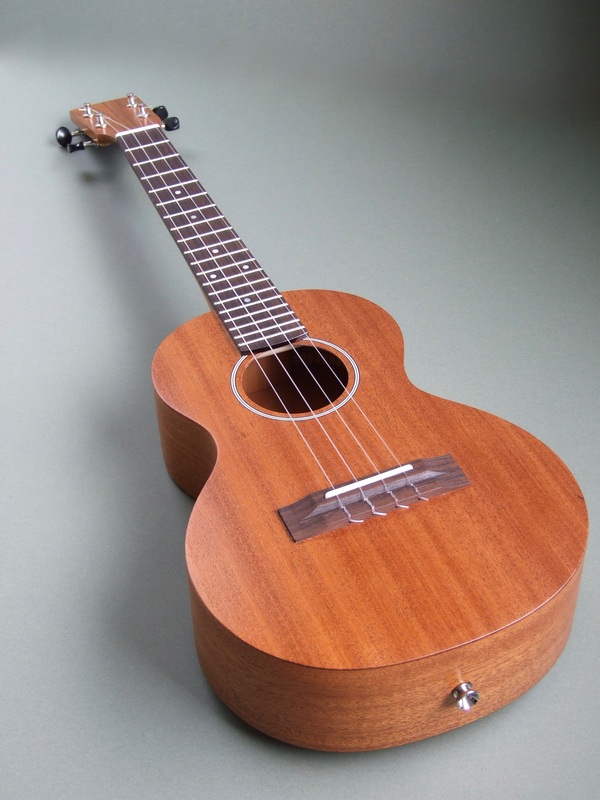 Sold: £495.00 including delivery within mainland UK.